Spruce up your bedding with this beautiful 100-percent polyester set. 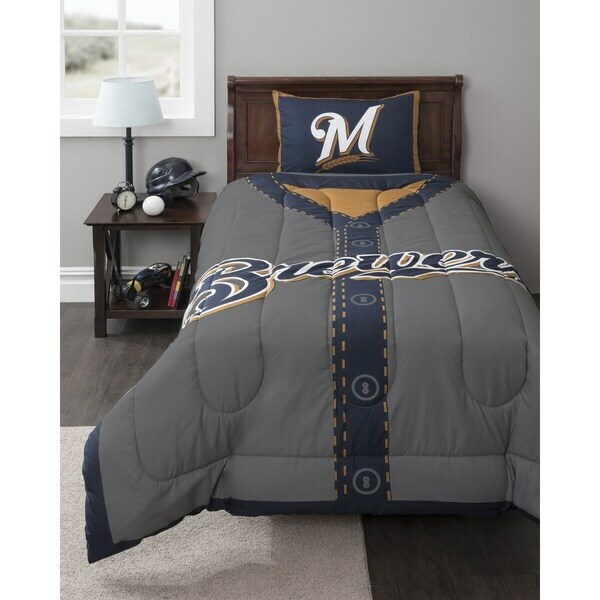 Dream of your favorite MLB team all-night long with this adorable jersey comforter set. Includes one comforter and one pillow case. "Any other teams besides the Marlins?"